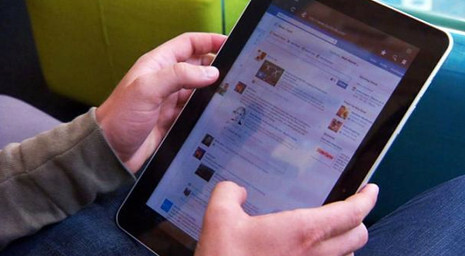 U.S. consumer spending via smartphone and tablet reached $25 million in 2012. This demonstrated an 81 percent increase in consumer shopping on mobile devices, which was almost twice the level of 2011, according to eMarketer. CNet.com revealed further findings from this mobile marketing research. The momentum behind mobile shopping shows no sign of stopping as mobile devices have become mainstream ways of making purchases online. Mobile devices have truly redefined the state of shopping today. By 2016, consumers are expected to make almost $87 billion in mobile purchases, resulting in more than one-quarter of all e-commerce sales made via mobile. This leap in mobile purchases is being attributed to both the rising popularity of tablets and the rapidly increasing number of consumers who have become comfortable with shopping on their mobile devices. 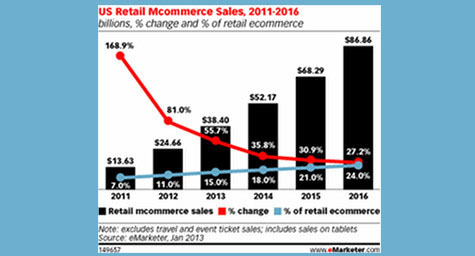 Mobile purchases via tablet are forecast to almost double in 2014 while shopping via smartphone will continue to rise, yet on a much more gradual basis. In fact, tablet sales have been so strong that eMarketer predicts that consumers will use tablets for the majority of their mobile shopping during the next four years. To learn more about the power of mobile marketing, contact MDG Advertising today at 561-338-7797 or visit mdgadvertising.com. MDG Advertising is a full-service advertising agency and one of Florida’s top digital marketing companies, with offices in Boca Raton and New York, NY. MDG’s 360° integrated marketing approach uses just the right mix of traditional and digital to reach your goals. While some industries may fare better in print and others online, we strive to create a balanced approach where traditional and digital marketing efforts support each other and your marketing message is tailored to the medium. To stay on top of the latest trends in mobile marketing, contact MDG Advertising today at 561-338-7797 or visit mdgadvertising.com.